This is the 4th rough cut that I created for our track Throne. It contains 2 minutes and 30 seconds worth of footage. Some of the things that I have changed include to switch the narrative around so that it is a more linear narrative rather than fragmented narrative. Besides that I added in some more pool footage, because it is a good element of the music video as well as the color powder. 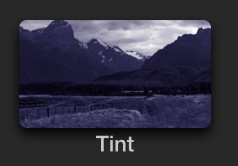 I changed the look of the pool scenes by adding an effect called Tint, whereafter I then changed the color slightly so it would look more realistic and as if it was an ocean. Andrew Goodwin's theory on 6 features of a music video outlines that one of the main features of a music video is that there is a link between the visuals and the lyrics. This is what I intended to create with the pool scenes. There are several times where the singer is singing about "lost in the ocean" or "blue", which then fits well with the underwater footage. Also, I took some of the running scenes out because some audience had argued that there were too many running scenes. I also tried to edit more to the beat and bring in some of our green screen footage that we filmed last Tuesday. My post on green screen goes into detail about what exactly we did that day and which type of footage we got.